NIKKO PACKAGING SDN BHD, we supplies all types of wholesale plastic bags for industrial and retail customers. When you need industrial strength clear plastic bags or a large volumeof poly bags for your merchandise, don't hesitate to contact us, the wholesale plastic bag supplier for businesses. A means of providing customers with a bag to transport their purchases and also a means of FREE advertising. Why not Capitalise on the opportunity! A key of our advantage is that from material to structure, design and colour, we'll work with you every step of the way. Our marketing, design, technical and products team will formulate the best means of manufacturing to ensure we produce the right packaging solution for you. We supply all types of industrial plastic bags including on a roll, flat clear plastic bags, and numerous clear plastic including specialties such as adhesive tape closures, reinforced headers, pillow case, and envelope bag. 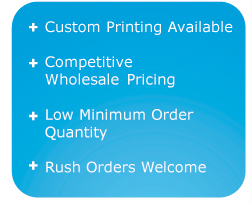 We offer fast turn around on all wholesale orders, low minimum order quantity, and have the experience and capability to handle large volume orders in shortest possible time. We also provide large volume of promotional bags for trade shows, fund raiser, and other special advertising events including diecut and patch handle, soft loop handle, and string bags. Quality Guaranteed On Every Order. We are proud of the lengths to which we go to accommodate and respond to special orders. Before you worry that you won't be able to get the volume printed plastic bags you need on time call us. You will be surprised what we can do for you. For professional, responsive service, and quality products contact us, Nikko Packaging for all your industrial and promotional needs.